Live Laugh Decorate: HELLO JULY! 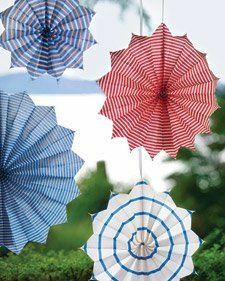 AND SOME JULY 4TH DECOR IDEAS ! HELLO JULY! AND SOME JULY 4TH DECOR IDEAS ! It's July! How and where did the months go? Anywho, if you follow me on Instagram, you'll know that the hubby and I finally bought a house and the little man now has a huge back yard to run around in. Yay. Alas, it's a major fixer-upper so we're now living in renovation hell. Since we won't be entertaining anytime soon, here's some 4th of July decor inspiration I'm swooning over that should hopefully inspire y'all do entertain in style this weekend. Yes, I plan to live vicariously through y'all, so do entertain well. Love those hurricane lanterns as centerpieces and those mason jar covers! What's your favorite 4th of July decor tip? Cheers to a happy holiday weekend to all. Congratulations on your new home. Please share the renovations with us!!! I love 4th of july décor, it makes me so happy. Great post. I like all of it. Love the ideas but I'll be putting out some flags on the front lawn and that's it for me this year! Oh, I realized I never congratulated you on the new house.. So excited for you and your family and can't wait to see what you do with it! Hope you had a fabulous 4th! Hopefully the weather wasn't rainy so you could have a little fun in the sun! I know little man must be over the moon about the backyard! Congrats again!